If you have been injured and can no longer work, we are here to discuss your eligibility to receive Social Security Disability benefits. 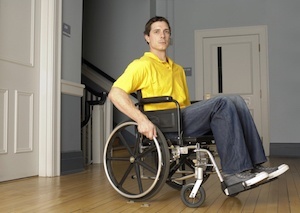 We have helped many clients recover disability benefits after a debilitating injury or accident. Social Security disability benefits are issued only to workers who have long-term impairments that do not allow for gainful employment, regardless of whether the disability arose on or off the job. It is important that measures be taken promptly to preserve evidence. By law, the benefits are paid only to workers who are unable to engage in any substantial gainful activity by reason of a medically determinable physical or mental impairment that is expected to last at least a year or result in death. You must be able to prove to the Social Security Administration (SSA) that you cannot perform your former job or any other type of work now that you are disabled. Social Security disability benefits begin after a 5-month waiting period. Of course, there are many situations that arise which are not covered in the listing of impairments, and the eligibility process can be very time consuming. Social Security is a federally mandated program with individual state laws for further governance. Filing for disability benefits can be arduous, time consuming, and again, complex. Put our experience to work for you and avoid the pitfalls that can harm your claim. If your claim has been denied, don’t give up, we can help you with an appeal too. Why Should You Hire a Social Security Disability Attorney? To qualify for disability payments, the Social Security evaluation system has developed a listing of impairments that are frequently considered to be disabling. Your condition is compared to that listing when determining your eligibility for benefits. If your condition is not mentioned specifically in the listing, the Social Security office will evaluate your situation to determine how your condition restricts your mobility or ability to perform the work required of you. If you are unable to work, according to the Social Security guidelines, you may be considered disabled, and may qualify for disability payments accordingly. Rather than put yourself through the confusing process of learning how to file for disability benefits, talk to an experienced Social Security Disability lawyer at Tapalian Law today. Don’t waste your time making mistakes, get your disability claim done right the first time and get the benefits you deserve. Our law firm has extensive contacts in the medical community to assist our clients in documenting the seriousness of the injuries for Social Security disability cases. Even the simplest injury claim can become complicated quickly. Rather than make a mistake that could hurt your chance at recovering compensation, put our experience to work for you. It is important that measures are taken immediately to preserve evidence, investigate the accident, and submit a lawsuit prior to the deadline imposed by the statute of limitations. If you or a loved one has been injured, don’t delay. Contact personal injury Attorney Tapalian today for a free legal consultation. There is never a fee or any costs unless we are successful. We will help you so that you understand your rights and obligations under the law.